Superb news! Thanks to the lovely folks at comixology, and thanks to the phenomenal art of the extremely talented Diana Nanaeva (http://spaska.deviantart.com) and letterer/ comic extraordinaire/life coach Danny Djeljosevic (http://djeljosevic.com/) our comic is finally up for sale! 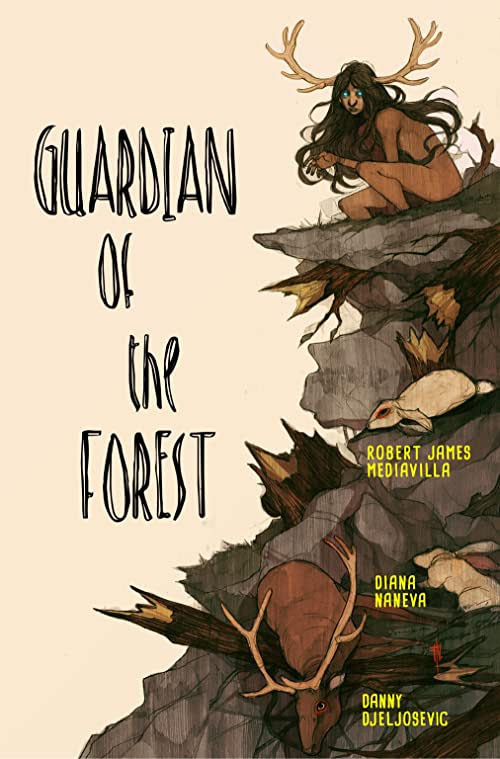 A one-shot comic by Robert James Mediavilla, Diana Naneva and Danny Djeljosevic exploring the frightful vengeance of Nature. This question has plagued family man Ben Taylor’s life since he unwittingly unleashed a supernatural force upon his small town. Now, as the body count rises and the creature draws closer, he and his daughter will come face to face with the brutal answer. If you enjoy horror, the supernatural, or tales of revenge, this comic is for you! If you enjoy a mixture of prose and traditional comic format, this comic is for you! If you like indie comics, this is for you! Seems like a win/win situation all around! But seriously, it’s been a dream of mine since I was 14 to publish one of my stories, and I couldn’t be more honored or thrilled to finally put this into the world. I hope that if y’all give it a look you’ll be able to feel all of the passion that went into this project, and that you’ll look forward to more of our projects!